Liothyronine Sodium is not an anabolic or androgenic steroid, it is a synthetic form of thyroid hormone. The thyroid usually produces two hormones in the body by nature, L-thyroxine and L-triiodine-thyronine, so since Liothyronine sodium is a synthetic equivalent of these 2 natural hormones, it causes the same process in the body. But this synthetic thyroid hormone is stronger and more effective of those 2 natural hormones. Bodybuilders are using it to speed up their metabolism, which causes a faster conversion of carbohydrates, proteins and fats. One week before competition, bodybuilders are taking Liothyronine Sodium, because it helps to maintain an extremely low fat content, without necessitating a strict (hunger) diet. As well was noticed that athletes who are taking at a low dosage Liothyronine Sodium together with steroids, the effects become more effective, most likely as the result of the faster conversion to protein. 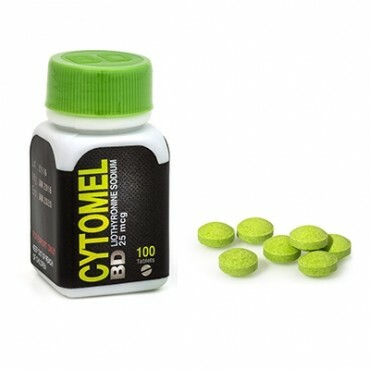 Liothyronine as well is popular among bodybuilders because it helps to burn those stubborn 1 to 2% of body fat, that won’t come off through just diet and cardio. For burning faster and bigger amount of fat, some bodybuilders are using Liothyronine Sodium with Clenbuterol.